The Historic Slocum House, listed on the National Registry of Historic Places, is located in Downtown Vancouver Washington. This historic, two-story Victorian home was built in 1867 and boasts a unique and airy event space with wooden floors, high ceilings, and excellent natural lighting. 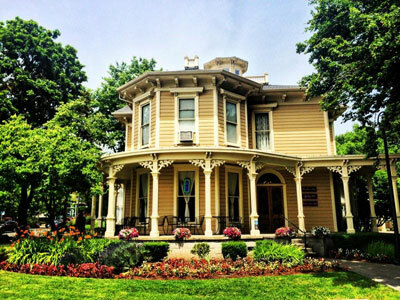 As of Fall 2015, the Vancouver Farmers Market has taken over the lease of the Historic Slocum House and offers meeting and special event space to the Clark County community. With access to catering, bakery, flower, and artisan vendors, we can help you create a distinctive event for your wedding, corporate or community meeting, class, conference, holiday or cocktail party. Please visit www.historicslocumhouse.com for more information or email [hidden email].